While driving you would have seen the warning boards displaying the quote “Better late than never”, asking the drivers to keep their speed in control. But, despite of all these instructions there is no decline in the number of accident taking place on the road whether they are within the city, or at highways. Although the first reason which comes to be responsible for the accident is mainly the high speed of the vehicle due to which the driver could not retain control on his vehicle and smashed the other vehicle that came in front of him. From the studies it is also noticed that the driver lost his control on the vehicle due to sudden coming of an object in front of the vehicle normally the animals like cows and dogs which could be seen roaming on roads without any control. When these animals suddenly come in front of the vehicle it becomes difficult for the driver to immediately apply brakes on his vehicle as it might get his vehicle by other vehicle and therefore to protect the animal when he turns his vehicle it gets hit from another vehicle running to his side or coming from opposite direction. Going through all these concerns recently the scientists of Gujarat Technical University have developed a device that will help the car drivers to get an alert about the objects coming ahead on his way through this device. This low priced device will detect and alert the car about the obstacles coming on his way. The device is installed on the dashboard from where it makes use of camera integrated on it along with an algorithm which helps in tracking that the obstacle coming ahead in front of vehicle and tell about its position that whether its movement could be risky for the vehicle or not. The device sports an audio and video indicator that could be switched on to analyze that whether it is necessary to apply the brakes or not or whether the animal will pass away from his vehicle. According to researchers associated with the study the road infrastructure in the country is not compatible according to the traffic requirements especially the linking roads between urban and rural areas. The scientists also said that they have achieved 80% of the success in detecting the obstacles coming on the way while driving. 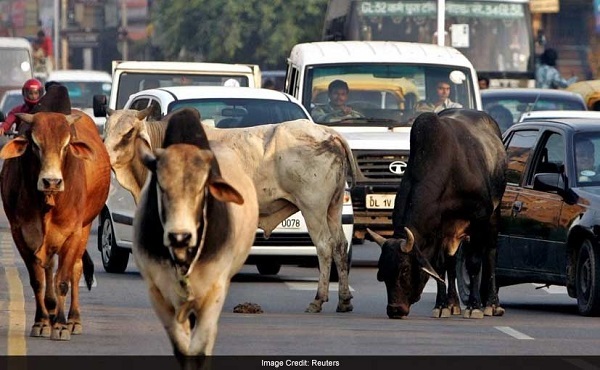 In the words of the scientists, “"The proposed system is a low-cost, highly reliable system which can easily be implemented in automobiles for detection of cow or any other animal after proper training and testing on the highway,"